When it comes to basic car maintenance, a lot of people tend to run to the auto shop or their local mechanic to help get a problem taken care of but you don’t need to do that for every little thing! There are plenty of things you can do on your own that will help improve the running of your vehicle while also allowing you to save money. For the purpose of this article, we will discuss changing out your air filter in your vehicle. Air filter renewal is one of the most basic things you should attend to regularly, along with oil changes and spark plug renewal. While you might think it is difficult, it is one of the easier things you can do and it can help save you some money if you do it on your own. 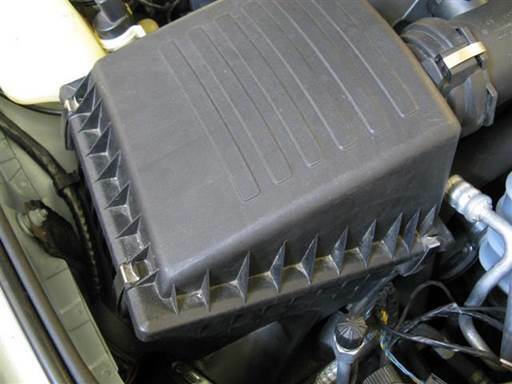 First, make sure you locate the air filter box and ensure that the struts on the bonnet will hold for long enough in order for you to do the job correctly and not come down on your head while you’re doing it. Most modern fuel-injected cars have a black plastic box close to the front of the car. This box holds the air filter inside it and is normally held together with 4 metal clips. Take off the clips or unscrew the screws that secure the cover over the filter box. Life off the cover and then remove the air filter while taking note of how it was placed in there since the replacement will need to go in the same way. After that, you should vacuum out the filter box to get rid of any debris that might be in there and if it happens to be very dirty, you could wipe it down with a damp cloth. No matter what, don’t use compressed air to clean out the box as it may lead to complications. Then, install the new air filter into the box and place the box cover back on the top. Once the cover is in place, reattach it using either the clamps or the mounting screws that you removed earlier. Lastly, make sure that the air intake and the hoses do not have any cracks or damage to them and make sure the connection are safe and secure so that they don’t come off at some point. Shaky connections and cracks in your piping may lead to false readings going to your ECU, cam/crank angle sensors and O2 sensors, ultimately leading to rough running or not running at all. After all of those steps, you will be good to go with a brand new air filter in your vehicle! In terms of buying the new part for your vehicle, you should have no problem going into your local parts shop and finding the correct air filter to match your vehicle. If you are unsure, ask somebody that works there because it is important that you get the right one. You will usually have a choice from a range of brands including more expensive, sportier options such as K&N. While you might think it is a tall and daunting task, you can clearly see that the process of changing out your air filter is nowhere near as complicated as you would think. By following the steps above, you will have a simple time changing out your air filter and saving yourself both time and money in the long run.